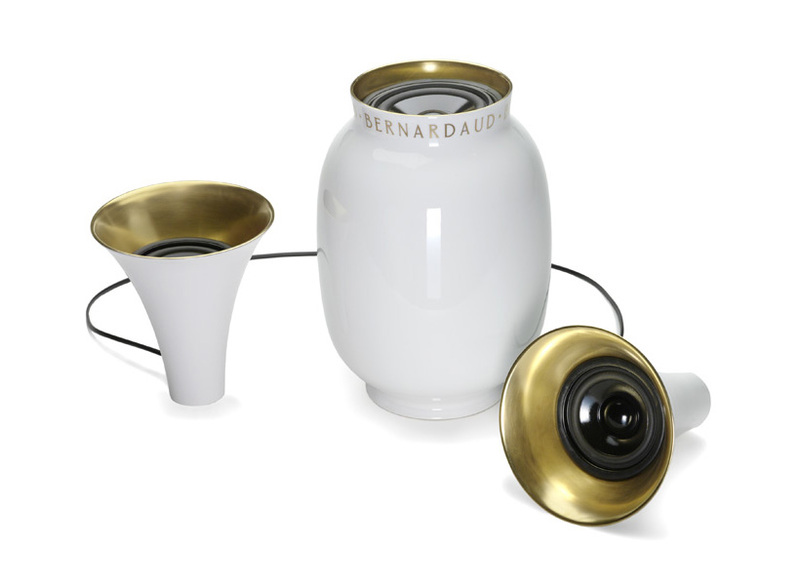 Sound system integrated into three porcelain vases, the properties of which amplify the sound. The bigger vase contains the bass amplifier and the two smaller ones are treble. Made in collaboration with the French porcelain factory Bernardaud, Limoges.